By this point in the season, we Hudson Valley types have reached the point where it’s cold enough to say that it just doesn’t matter how much colder it gets. So next weekend why not buck up, brave the slight temperature drop, and head to Saratoga Springs for the 28th annual Flurry Festival? Held February 13-15, the family-oriented celebration of music and dance will fill the historic Spa City’s downtown with over 400 performers and over 250 events at five local venues. The weekend will bring more than 15 live concerts and performances including the Vanaver Caravan’s “Dances Around the World,” dance academy Urban Artistry’s “The Meaning of Buck Dance,” gospel folk duo Kim and Reggie Harris, Jay Ungar and Molly Mason, the Ramblin’ Jug Stompers, Lost Radio Rounders, Grateful Dead tribute band the Deadbeats, and others. Singing workshops will include a lively evening singing sea shanties and drinking songs, as well as gatherings of songs from summer camp, songs for change, family nighttime songs, a Sunday morning gospel harmony sing, and more. 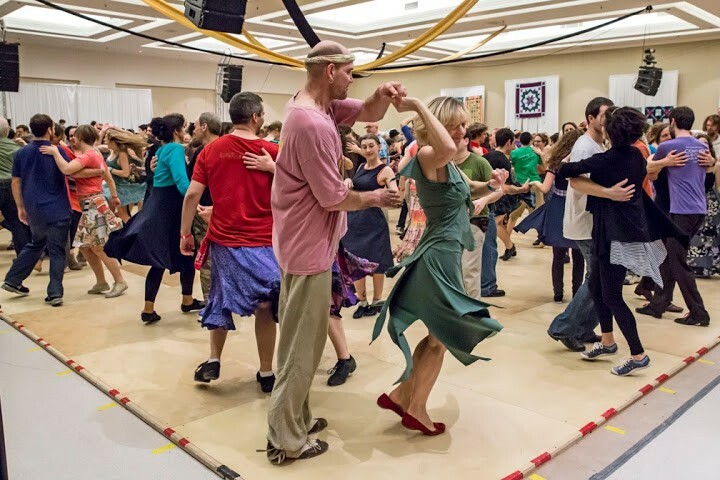 Organizers further promise non-stop dancing featuring such styles as contra, swing, waltzes, tango, Balkan, zydeco, Creole, salsa, Scottish tea and English country dances, techno contra (? ), and even “a sprinkle of disco.” There will also be endless musical jam sessions and workshops centering on beginner’s ukulele, blues guitar, rhythm bones, harmonica, and other instruments. Storytelling programs will be held, and vendors selling food and other items will be on hand. The 28th annual Flurry Festival takes place in Saratoga Springs on February 13, 14, and 15. For a full schedule of events and ticket information, visit http://www.flurryfestival.org.